Is it socially acceptable to wear socks with sandals? What dog breed will look best with my drainpipe jeans? What the hell is ‘brunch’ anyway? Thanks to the Polish blog Make Life Harder, these questions will no longer remain rhetorical. It started as a satire of Kasia Tusk’s blog, Make Life Easier. There, the daughter of the former Polish Prime Minister explains the importance of the ‘neat integrity’ of a gray coat and white sneakers as well as what to wear to look like a tulip (which is supposed to be a good thing). However, since 2011 Make Life Harder has evolved into a phenomenon in its own right with a cult following numbering more than Ms Tusk’s and even a recently published book through Prószyński Media. 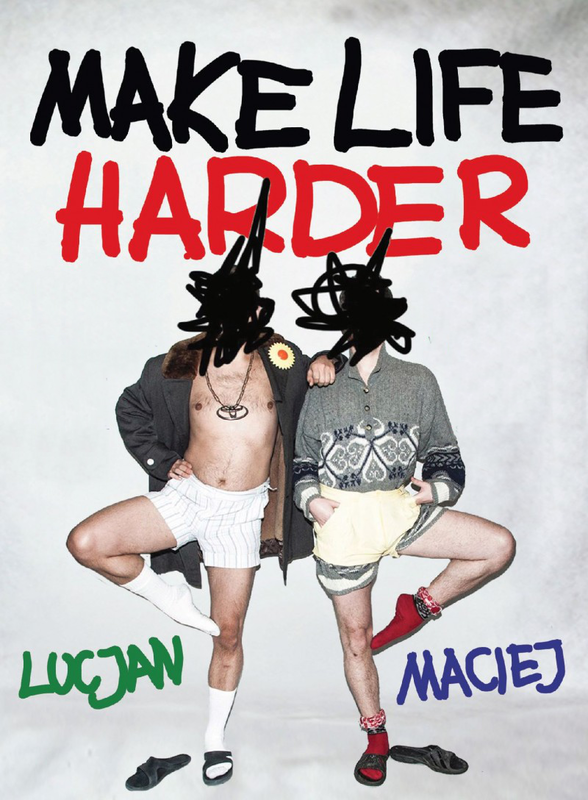 The authors are a duo credited only as Lucjan and Maciej, self-appointed fashion/life style/whatnot experts from Gdansk. Their witty, unbiased social commentary is the wry Polish answer to The Onion, except actually focused on cebulaki (‘onions’)—people who might actually need to be told that, no, vodka is not a sports drink. 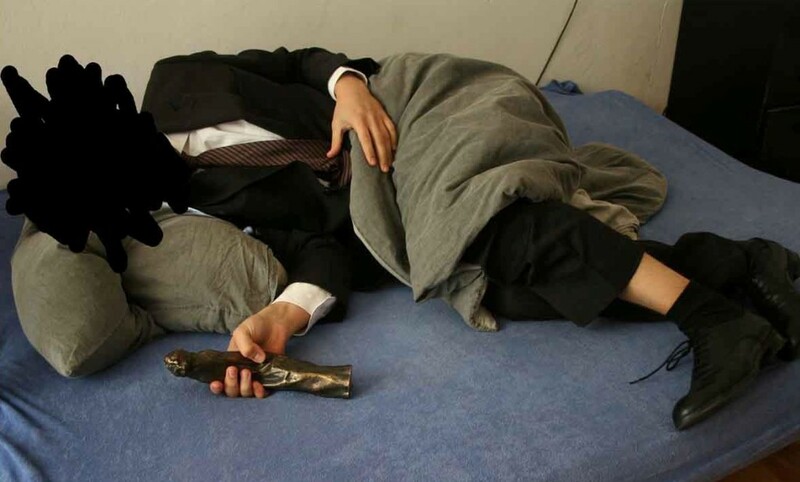 As far as we are concerned, we have mastered the art of spending free time so as not to do anything useful, but an average corpo worker faced with the prospect of a holiday is completely lost; suffers from diarrhoea and insomnia. But it is just a few days, and you have to deal with it. We have got a few tips for you on how to spend free time and not shoot yourself. Party. It’s like a staff meeting, except you don’t bring a PowerPoint presentation with you, and you don’t throw up from stress but from happiness, and nobody questions your presence or asks what you are doing there and why you are doing it so lousily. Unlike staff meetings, parties rarely begin on Monday at 10am, and if they do, it means you’re partying with the graduates of the Faculty of Social Sciences and you’re probably in a state of clinical death anyway. But there are also similarities—you mostly smooth talk (at the party-to get laid; at the staff meeting to not get fucked). Leaving the city. Before you go out beyond the walls of your guarded estate, get vaccinated and, if you happen to be going to Podlaskie, make sure you also get pills for malaria. As you will possibly meet people who do not work at a corporation and do not live on private estates, just in case, take rubber gloves with you. Once in the countryside, you may get a shock from too much fresh air. The symptoms might include no more headache and no crying in your sleep. But do not panic, just turn your laptop on and calm down by making a table in Excel. However, you should be careful, because having free time is addictive and you might get some crazy ideas and want to work less and enjoy your life more. That is why you should carry in your wallet a photo of your flat and your wardrobe to remind you that it all makes sense.